This week TechnoKids released a new, innovative computer project in which students express their passion for a topic. 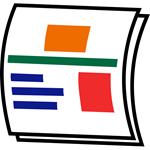 In TechnoNewsletter, students make a fan club newsletter with a series of articles designed for a target audience. They learn how to create a professional-looking publication using Google Docs or Microsoft Office. Engage student interest. Design a fan club newsletter. Teach essential word processing skills. TechnoNewsletter integrates into curriculum. Students connect with a fan base of readers that are enthusiastic about a topic. The newsletter could be about a pop culture icon, school club, sports team, historical figure, travel destination, environmental issue, novel study, or scientific discovery. Challenging enrichment activities support learning. For example, students can co-author an article or engage in an online discussion. 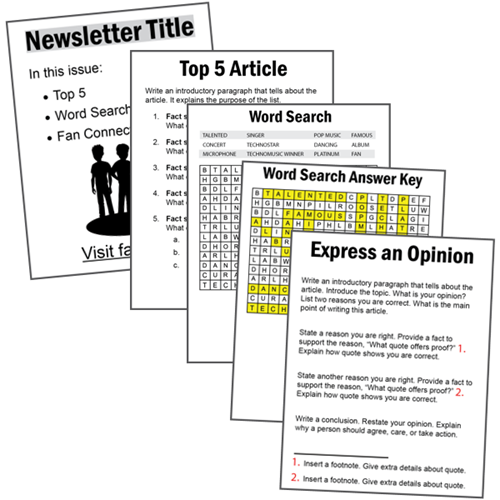 Included with the resources in this project are three sample newsletters. For teachers, the samples provide suggestions for curriculum integration. Students can study the samples to spark their own creative ideas.